We saw a pumpkin at the grocery store the other day and couldn’t resist- they’re just so festive! 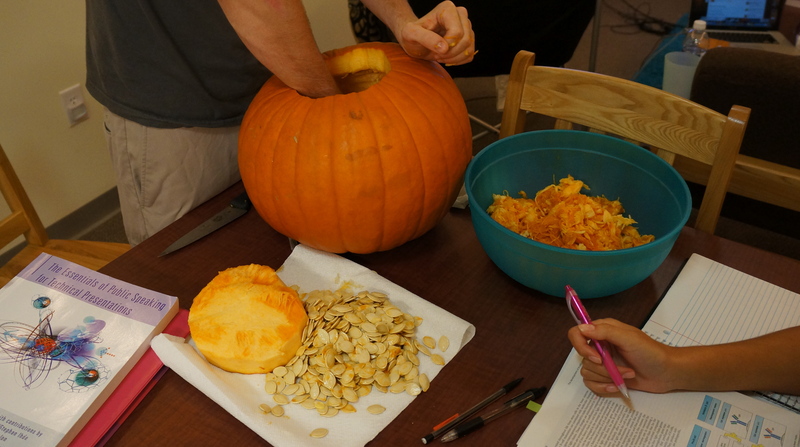 We brought it home with the intention to carve it, but quickly realized that we didn’t have the right tools or carving abilities, so instead we decided to make salted pumpkin seeds! Now that Halloween has passed and pumpkins are on sale, you should make some too! We asked for our friend’s assistance since he had a good knife. 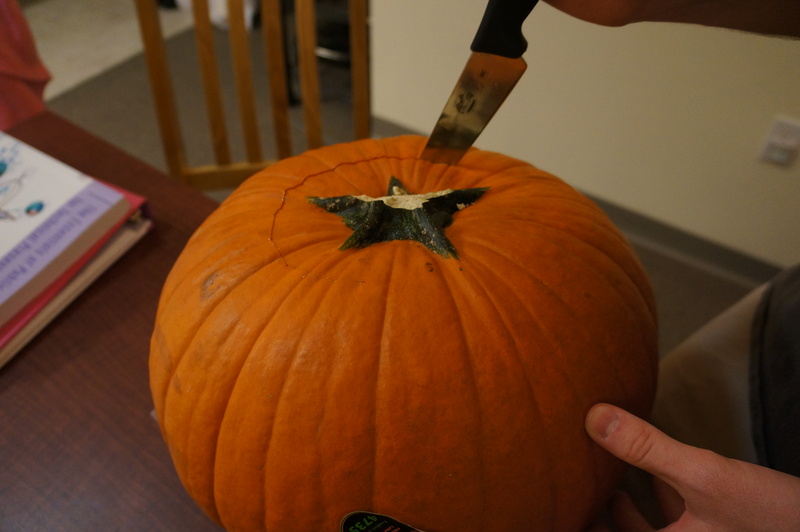 He first cut open the top of the pumpkin. We learned the hard way that you need to cut the top at an angle so it doesn’t fall in. 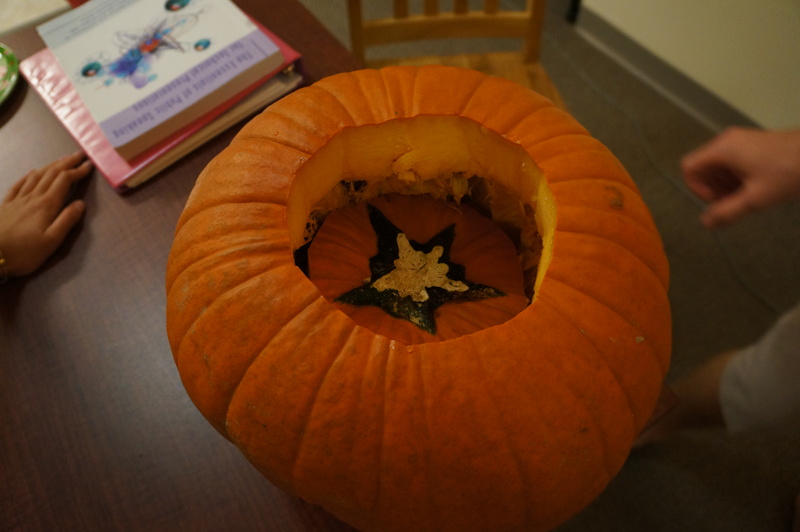 After a good 15 minutes of trying to get the top out, we finally began scooping out the pumpkin goop and separating out the seeds (while our roommate studied vigorously). 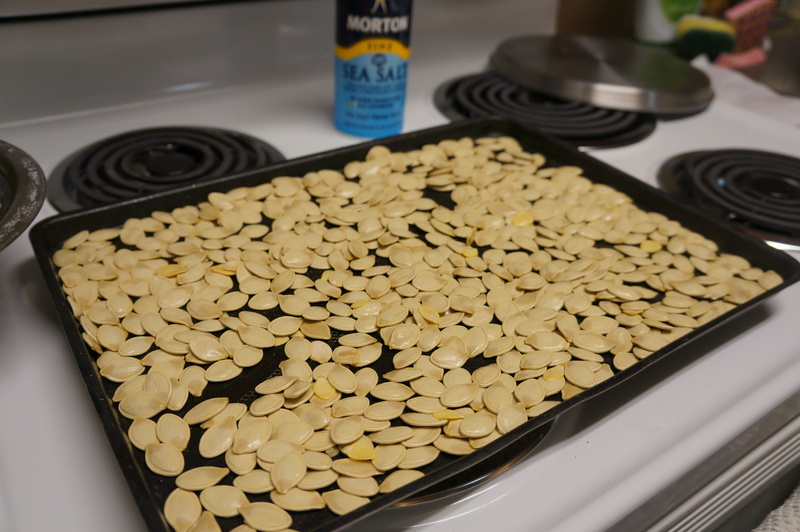 1) Mix a little vegetable oil and salt with the seeds and spread them on a baking sheet. 2) Bake at 300 degrees for 10 minutes. 3) Shake the baking sheet and add a little more salt. 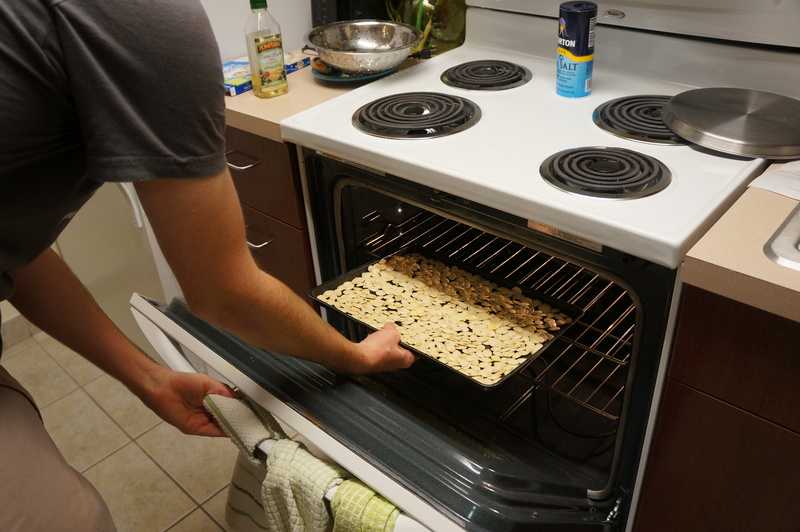 4) Bake for 10 more minutes, then take them out of the oven to cool. They turned out perfectly! 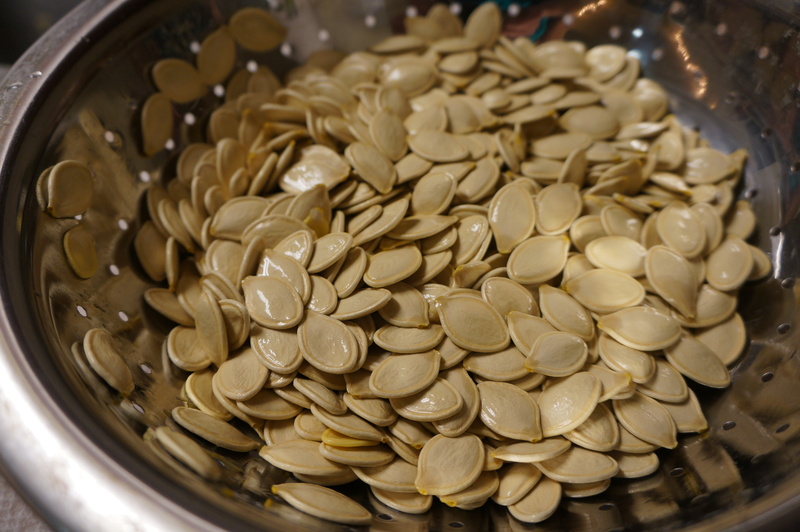 So if you want to buy up some pumpkins on sale after Halloween, this is a great, quick and easy way to make a yummy snack that requires very little baking or cooking ability. Hope you enjoy! !